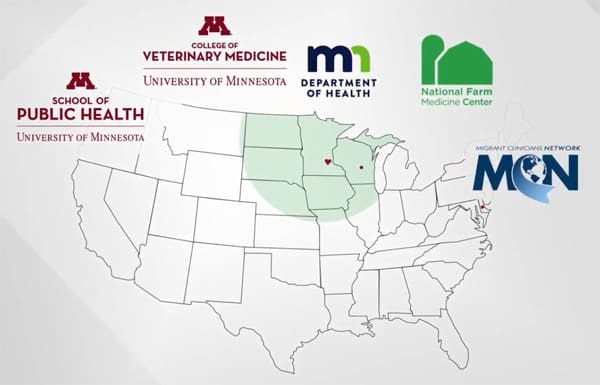 The Upper Midwest Agricultural Safety and Health Center (UMASH) is a multidisciplinary collaboration of five leading research and health care institutions. This collaboration brings together unique and complimentary expertise to address existing and emerging occupational health and safety issues in agriculture. 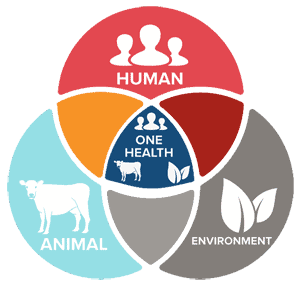 UMASH embraces a One Health philosophy that recognizes the connections between human, animal, and environmental health when addressing occupational health and safety issues in agriculture. 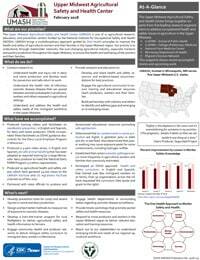 Program Performance One-Pager (PPOP) from NIOSH describing the relevance and impact of UMASH programs. 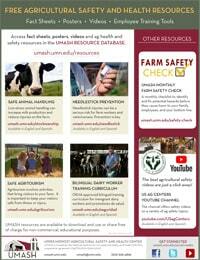 Download a pdf list of UMASH fact sheets, videos, and other agricultural health and safety resources. 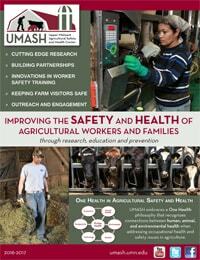 Featuring highlights of UMASH success stories in agricultural safety and health. 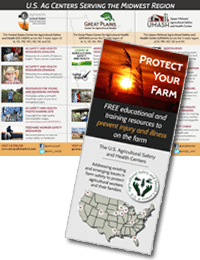 Brochure highlighting the US Ag Centers serving the Midwest region. Spotlights our center’s research and outreach activities in 2016-2017. 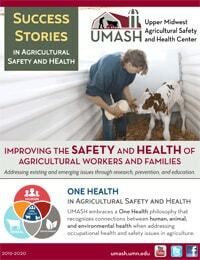 UMASH is one of eleven Centers of Excellence in Agricultural Disease and Injury Research, Education, and Prevention funded by the National Institute for Occupational Safety and Health (NIOSH) throughout the United States. Funding is provided through a cooperative agreement from NIOSH, U54OH010170 (2009-2021).